Everyone loves a good DIY project, wouldn't you agree? No matter the scale, it always feels great to add a touch of your personality to your home. Better yet, to say you completed the update yourself - extra bonus points! This week we've compiled some of the best DIY projects we've seen our customers create using our reclaimed wood. First on our list is this amazing little bar area featuring our prohibition plank wood. Whiskey barrel wood already has so much character and variation in patina so a little can go a long way - case in point! 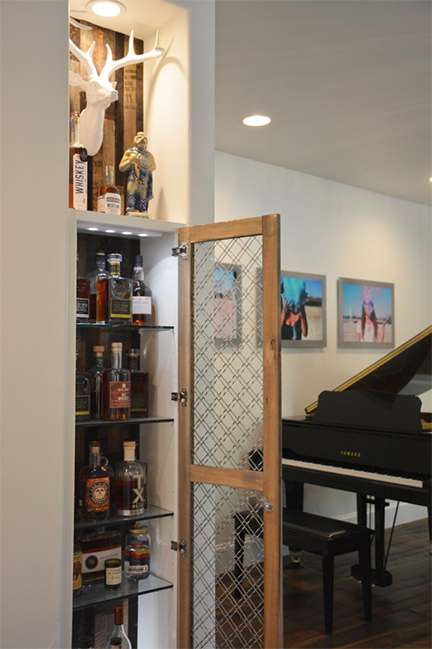 This small accent wall shows off the client’s love for whiskey, while also keeping in mind their attention to detail. Is your master lacking that “wow” factor? A small feature wall may be in order! 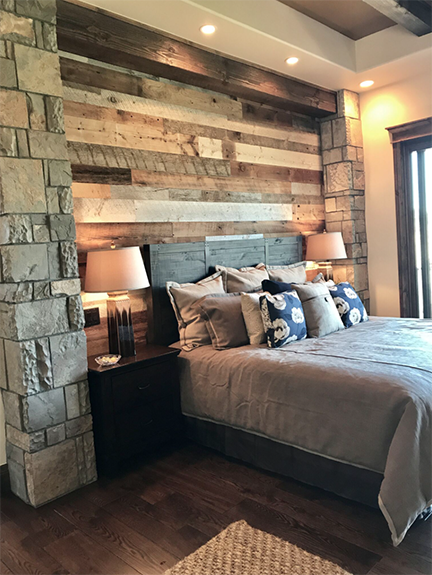 This client incorporated our back planed barn board right behind their bedroom furniture.Just shows that reclaimed wood can add texture, variation, and warmth to your space without feeling overwhelming. This splash of barn board is exactly what they needed to tie the whole bedroom together! Open shelving is becoming more and more popular - especially in the kitchen! 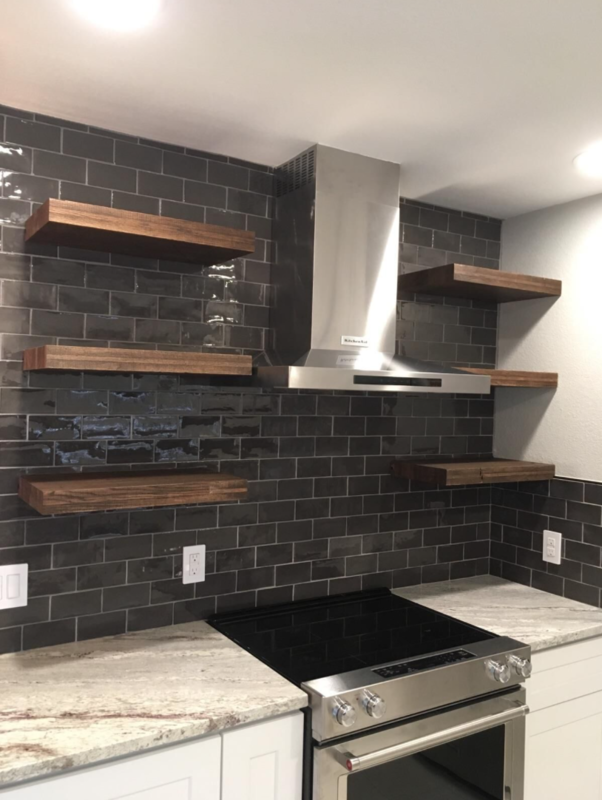 This client used our reclaimed boxcar planks as shelving in their modern and upscale kitchen design. We absolutely love the contrast between the shelves and the dark subway tile backsplash. Floating shelves like this can be useful in any room of your choosing, and are a stylish way to showcase some of your favorite items. 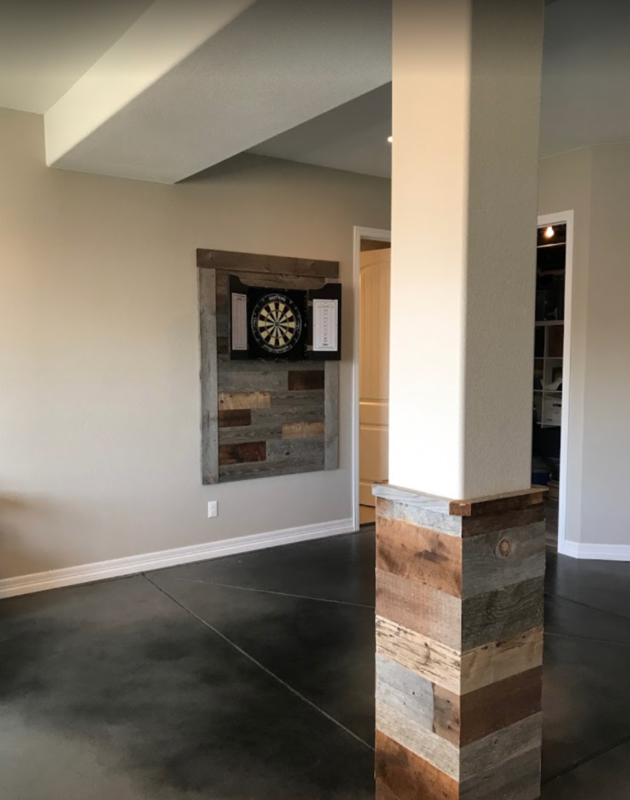 Last on our list is this custom dart board and other basement finishes complete with our back planed barn board. The beauty of DIY projects is that any creative vision you may have can come to life, so why not revamp your entertainment space? These small updates add so much life and character into this room, making it both inviting and ready for guests to hang out and play in. Feeling inspired? The possibilities really are endless when it comes to creating a home that is unique to you - and RDW is ready to help! Get in touch with one of our sales reps today by emailing [email protected] or stop by one of our local showrooms in Denver, Dallas, or Charleston!